"Over 50% of our customers come from our advert on uk tattoo studios, advertising on the internet is way better than yellow pages". 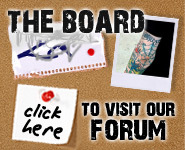 So far we've had well over 5 customers spending between £350-£500 from our advert on uktattoostudios.co.uk. Its a wicked site and is easily accessible with enough information for potential clients.